The American Whig–Cliosophic Society (Whig-Clio) is a political, literary, and debating society at Princeton University and the oldest debate union in the United States. Its precursors, the American Whig Society and the Cliosophic Society, were founded at Princeton in 1769 and 1765 by James Madison, William Paterson, Oliver Ellsworth, and Aaron Burr. Originally two separate organizations, the American Whig Society and the Cliosophic Society were the primary student organizations at Princeton until the end of the 19th century. Competition from eating clubs, sports teams, and other student activities drew members away from the societies. Prompted by declining memberships, the societies were merged to form the American Whig–Cliosophic Society in 1928. The organization's modern role is to serve as an umbrella organization for political and debating activity at Princeton, and is Princeton's largest student organization with over 500 members. The Society frequently hosts events open to all Princeton students, as well as to faculty and community members. These include the Society's monthly Senate Debates on topics related to national or campus policy, lectures and discussion dinners with guest speakers, and social events. The Society also oversees four subsidiary groups: the International Relations Council (IRC), Princeton's Model Congress (PMC), Princeton Debate Panel (PDP), and Princeton Mock Trial (PMT). Christian Schmidt '20 is the Society's current President. Recent past Presidents include Lena Hu '20, Rebekah Ninan '19, Allison Berger '18, Cydney Kim '17, Adam Tcharni '15, Matt Saunders '15, Cara Eckholm '14, Jay Parikh '12, Benjamin Weisman '11, Molly Alarcon '10, Devjoy Sengupta '09, Alec Williams '09, Aaron Spolin '08, Shriram Harid '08, Matthew MacDonald '07, Karis Gong '06, and Andrew Bruck '05. The Princeton Debate Panel competes regularly against teams such as the Oxford Union, the Cambridge Union Society, and the Hart House Debating Club. It competes most frequently in the American Parliamentary Debate Association league, of which it is a founding member, and where it currently holds the record for most Team of the Year (TOTY), Speaker of the Year (SOTY), and Novice of the Year (NOTY) awards. It also won (as of 2018) five National Championships and a record eight National Championship top speaker awards. It also hosted the World Universities Debating Championships three times. Its alumni include Supreme Court Justice Samuel Alito, international relations scholar Joseph Nye, and diplomat John Foster Dulles. Princeton Mock Trial currently[when?] ranks among the top 10 mock-trial programs in the nation. It ranked 2nd in the American Mock Trial Association National Championship in 2013 and won the AMTA Regional Tournament held at Princeton in 2008. It annually hosts a Moot Court tournament for high school students from throughout the Mid-Atlantic region. 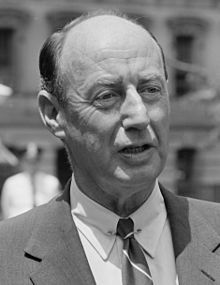 Adlai Stevenson II '22, an active member of the Whig Society and later recipient of the James Madison Award. The Princeton Debate Panel's annual collegiate tournament is named in his honor. In the past half decade[when? ], the International Relations Council has grown to become the biggest subsidiary of Whig-Clio in terms of membership. It hosts Sunday weekly meetings for students to discuss international events and developments. It also sponsors two annual international affairs conferences: one for the high school level Princeton Model United Nations Conference (PMUNC) and one for the collegiate Princeton Interactive Crisis Simulation (PICSIM). PMUNC attracts some 1000 high school students from around the world. Currently,[when?] Princeton Model Congress offers high school students the opportunity to simulate the experience of serving in Congress, sitting on the bench as a Supreme Court Justice, counseling the Commander in Chief as a member of the Presidential Cabinet or covering the Federal Government in print as a part of the Press Corps. The conference draws approximately 1,200 participants. The Woodrow Wilson Honorary Debate Panel (WWHDP) sponsors and promotes prize debates at Princeton University. Incumbent to this purpose is the goal of not only rewarding but fostering top-caliber debate at Princeton. Annually-held debates and oratory contests include the Lynde Prize Debate, the Class of 1876 Memorial Prize for Debate in Politics, the Maclean Prize and Junior Orator Awards, the Walter E. Hope Prizes in Speaking and Debating, the Spencer Trask Medals for Debating, and the William Rusher ’44 Prize in Debating. 1989 C. Leslie Rice, Jr. The Governing Council of the Whig-Clio Society is in charge of managing the affairs of the Society. The positions of President, Vice President, Director of Program, President of the Senate, Secretary, and Whig and Clio Party Chairs are elected by all members of the Society to serve 1-year terms. The elected officers also select a corp of appointed officers. Notably, Tina Ravitz, Class of 1976, was the Society's first female President. The Society was founded in 1765 by prominent Princetonians including President James Madison and Vice-President Aaron Burr. 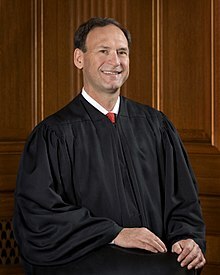 Alumni in modern times include President Woodrow Wilson, Supreme Court Justice Samuel Alito, Secretaries of State James Baker and George Shultz, and Senators Adlai Stevenson and Ted Cruz. A full list of notable Whig-Clio alumni is linked below.